Sweet paprika, tomatoes and sour cream combine in this decadent dish to create a delicious and warming stew that can be served with potatoes, pasta or crusty bread. Sauté onions, finely diced carrots, bell peppers and courgette in vegetable oil then add plenty of home-grown tomatoes, vegetable stock, a little flour and plenty of sweet paprika and stir until fully combined and until the sauce has thickened a little. Serve with the accompaniment of your choice. A wonderful way to use up any potatoes, carrots, parsnips, onions and apples that you are not going to store over the winter, this warming stew is a simple staple that can be made in big batches and frozen for later use. Simply toss chopped potatoes, carrots, onions, cooking apples and any other root vegetables you have to hand into a large pot with water and vegetable stock, then allow the whole lot to cook down and simmer for around 20-30 minutes. You can also toss in a bouquet garni of home-grown herbs for extra flavour. Season well with salt and plenty of black pepper and serve with some home-made bread. Pumpkins and squash are ideal for creating a wide range of delicious seasonal stews. Make a base of onions, garlic, carrots, tomatoes, herbs and spices such as cinnamon, chilli, cumin and ginger (to taste) and add plenty of pumpkin or squash, and chickpeas for a boost of vegetarian protein. Serve this curried stew with rice, or with a flatbread for a warming autumn meal. 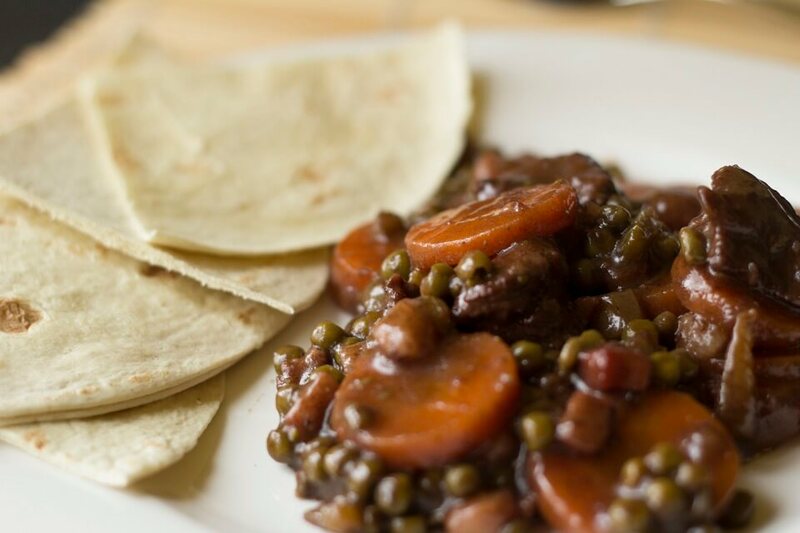 The great thing about this stew is that you can also toss in whatever leafy greens you have to hand, and can customise the flavour and ring the changes by altering the amount of various herbs and spices that you include. These are just three ideas to inspire you to create seasonal stew this month from the produce that you grow in your polytunnel. There are almost endless ways to combine ingredients to make many more stews and casseroles at this time of the year. Do you have a favourite seasonal stew recipe? Share your ideas and suggestions for seasonal recipes in the comments below. Need more inspiration? Our recipes page can help inspire you to always make the most of the things you grow in your polytunnel throughout the year.